Fine China is delicate and therefore requires a lot of attention when preparing it to be shipped. Whether you are moving house, or sending a china set to a loved one, the proper packaging must be followed to ensure that it arrives at its destination safely and still in one piece. Keep in mind that attaching ‘fragile’ stickers to you package is not enough and therefore proper packaging techniques must be followed. Select the proper box. Choose a box that will not allow you to exceed 10 pounds of weight. This is important when shipping fine china as the heavier the box, the more people tend to stack other packages on top of it. Also make sure the box is ‘double walled’ giving the fine china extra protection. Place packing peanuts or foam at the bottom of the box. Before placing anything in the box tightly line the bottom of the box with a generous amount of packing peanuts or cushion foam. Individually wrap each piece of china in bubble wrap. Make sure that each piece of fine china is bubble wrapped, taped and firmly secured. Arrange each individual piece in the box. When placing each wrapped item in the box make sure that between each piece are packing peanuts or cushioned foam. Fill all leftover empty areas with cushion foam or peanuts. Before sealing the box make sure that all empty areas of the box are filled with foam or peanuts. This will help stop the items from moving around in the box when being shipped. Seal the box using packing tape. When sealing the box use strong packing tape, making sure you tape all ends of the box to promote extra support. Make sure the tape is tight and goes all around the box. Place ‘fragile’ stickers on the outside of the box. Stickers that say ‘fragile’ can help alert mail or delivery workers that they should take extra care with the box. Place them on all areas of the box. When packing the box placing heavier items, such as plates, on the bottom will help protect the items and keep the box sturdier. Keep in mind items that have handles or spouts require extra padding, as they are more prone to breakage. 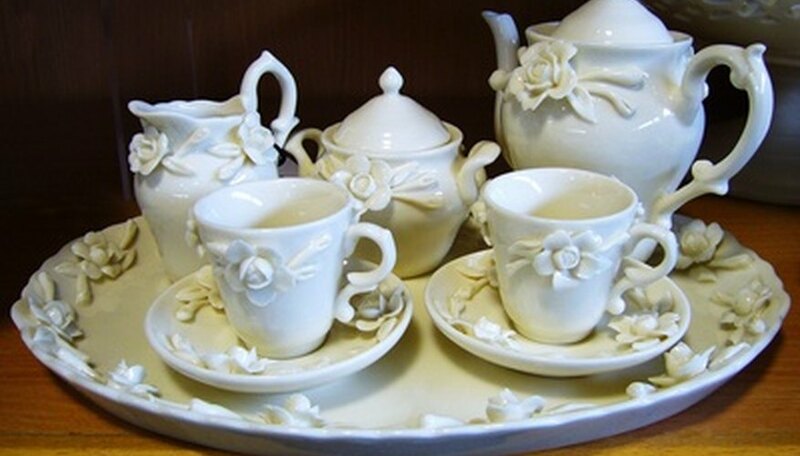 Consider taking out insurance on your fine china set when sending via the mail. This may be a little more costly but will give you more protection.